A powerful prespray additive that imparts Acid-Dye Stain Resistance as you CLEAN! 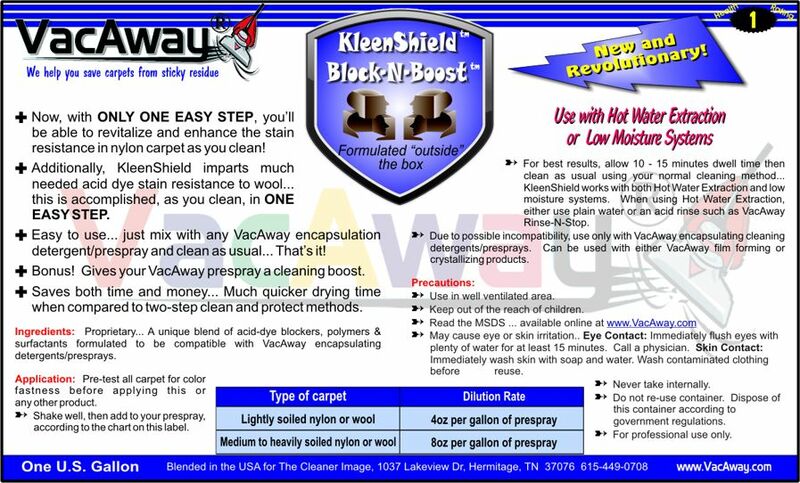 At last, a revolutionary pre-spray additive that imparts Acid-Dye Stain Resistance as you clean! For more info see each technical bulletin, MSDS and label.